Home healthcare providers will find their fair share of mobile apps that claim to make their jobs easier and more efficient. It may be difficult to believe, but timesheet and expense reporting mobile apps can make the difference between a positive employee experience and a negative one, and home healthcare providers know the importance of keep their mobile healthcare employees happy, productive, and focused on improving patient outcomes. Here are several of the most important features to look for in your search for the right home healthcare mobile apps for time and expense. Tracking mileage can be a burdensome task for both employees and administrators. Plus, mileage tracking can be a huge source of spend waste when employees over-estimate their mileage. With even a half mile of over-estimation per trip, reimbursements can add up to hundreds or thousands of dollars over a year. A software solution can provide more accurate mileage tracking up to a tenth of a mile for every trip, cutting down on your reimbursement costs. It may be surprising, but there are timesheet and expense reporting vendors who are HIPAA compliant. Only those companies that prioritize privacy and security will make the effort to comply with these regulations by ensuring that their own employees undergo the training necessary to establish HIPAA compliance. When you’re running your comparisons, look for whether your provider is HIPAA compliant. Security is another concern for home healthcare providers. The app provider should be able to provide proof of their security protocols and should be up to date on the latest upgrades in security. Look for certifications regarding security as you make comparisons between apps. The purpose of a mobile app is to provide access to data and the flexibility to enter data from anywhere in the world. The mobile app should provide employees and admins with access to their timesheet and expense report data anytime, anywhere. With a cloud-based system, data is stored in a way that’s easy to access on the go. This gives employees the power to complete their timesheets and expense reports while the information is still fresh in their minds, which helps increase the accuracy of the data entered. With employees on the go, the last thing they need is to keep track of paperwork related to each patient. This is paperwork that can be lost or damaged, a problem easily avoided by using a software system. With paper timesheets and expense reports, managing receipts is also a problem. Instead, home healthcare workers should be a receipt management tool so that they just need to take a picture of the receipt with their mobile phone and it’s stored in the system until ready for use. 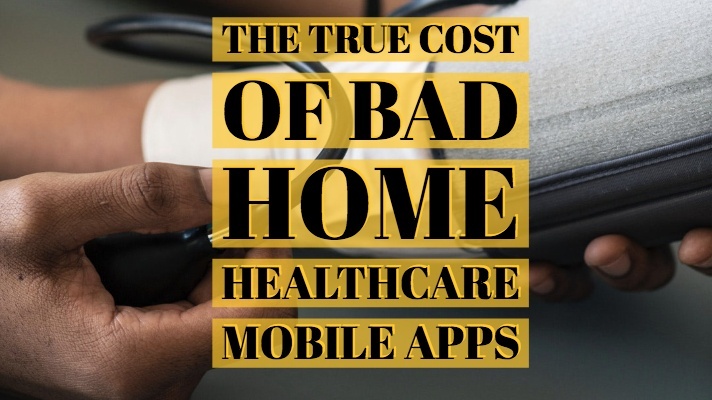 The true cost of a bad home healthcare mobile app can add up to wasted time and increased frustration when it comes to submitting timesheets and expense reports. Look for a mobile app with the above features and benefits.